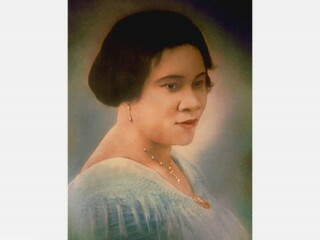 Birthplace : Delta, Louisiana, U.S.
Sarah Breedlove Walker (also known as: Madame C. J. Walker, Sarah Breedlove, C. J. Walker, Sarah Breedlove McWilliams Walker, Sarah Walker ) born on December 23, 1867 in Delta, Louisiana is an American inventor. Sarah Breedlove Walker, a St. Louis washerwoman, created a cosmetic empire by inventing a system of hair straightening. Born to a poor farm family on December 23, 1867, in Delta, Louisiana, Sarah received very little education and, by the age of ten, had moved away from home to look for work. By age nineteen Sarah was a widow with a young daughter to support, and she moved to St. Louis to work as a hotel washerwoman. In 1906, Sarah married Denver newspaperman Charles Joseph Walker and changed her name to Madame C. J. Walker. Around 1910, Sarah came up with idea of straightening hair with a hot iron comb and an ointment to add softness and shine. This was an important development because for generations before her revolutionary process, blacks had straightened tightly curled hair on ironing boards which endangered the scalp and face and broke the hair. Sarah made up batches of her pomade in a tub, then packed the mixture in jars and sold them to customers. She developed a variety of products to serve a range of hair care needs. In 1910, she moved the operation to Indianapolis and built her first factory. By 1917, Sarah Walker was employing 3,000 workers in America's largest black-owned business and was drawing sizeable return from sales of equipment and supplies and from a chain of beauty schools. She became a social leader among the black middle class and opened Lelia College, a hair care laboratory, and a chain of beauty salons in Harlem. View the full website biography of Sarah Breedlove Walker.